This spacious 1,200 sq. 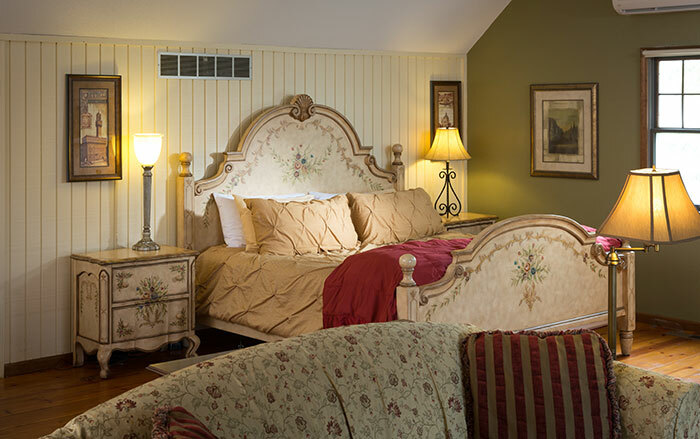 ft. Italian countryside-themed suite offers our finest accommodation at our bed and breakfast near Kansas City. 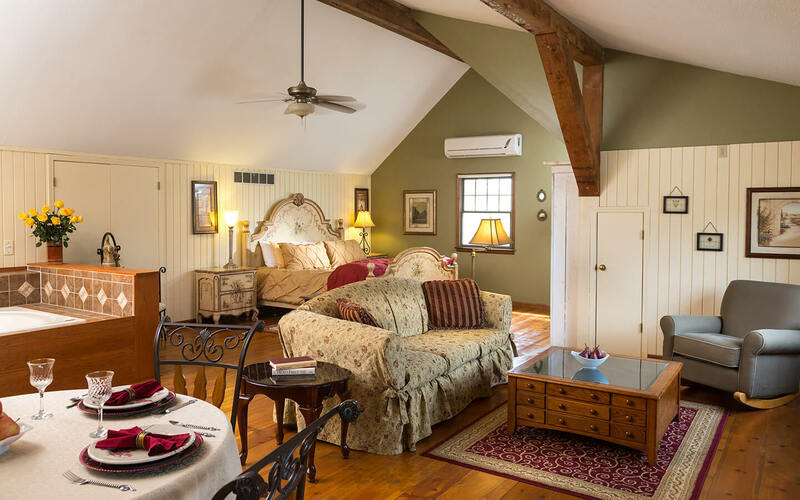 The Tuscan Manor features a Sleep Number bed for individualized comfort and is dressed in wonderful linens for your pleasure. 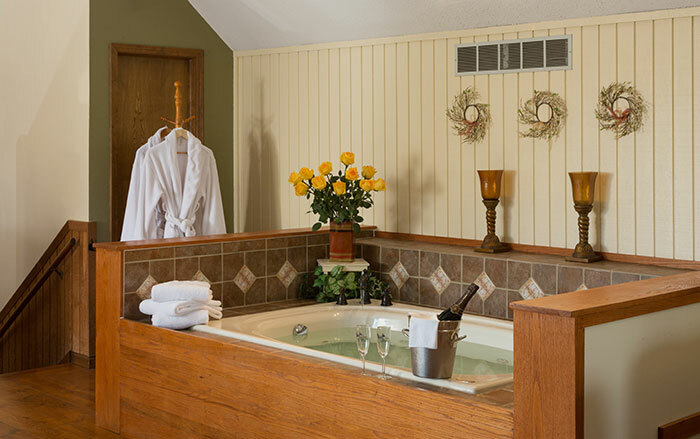 An oversized 2-person Jacuzzi tub will help you unwind as you begin your romantic weekend. 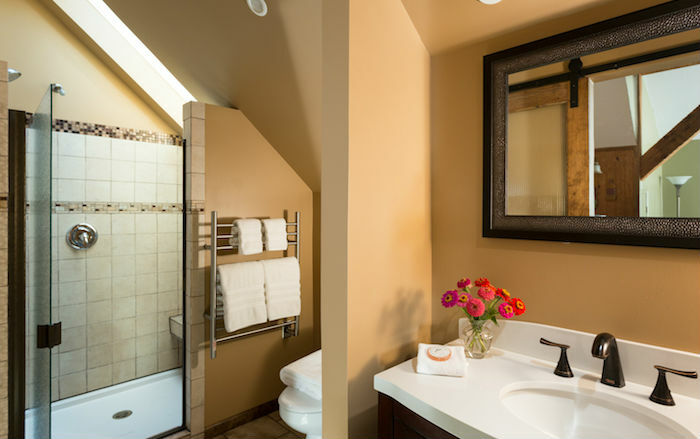 A newly remodeled private bath includes a 2-person shower, heated floors, towel warmer and skylight. 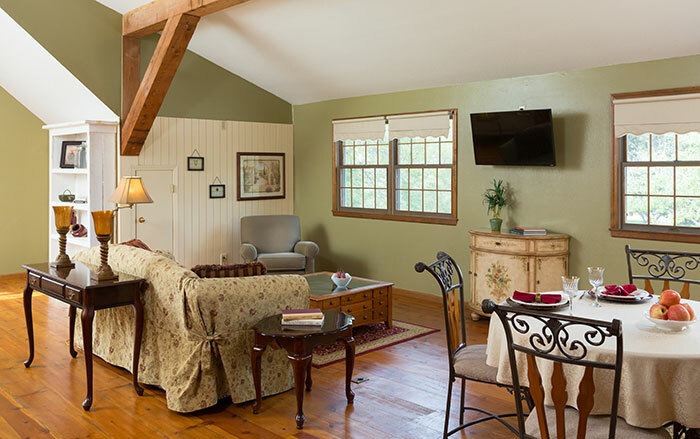 You will enjoy relaxing in the cozy seating area as you read or watch a movie. A dining table in the room is perfect for those romantic dinners and breakfasts for two. Enjoy the use of our cable TV & DVD player, as well as a Bluetooth speaker. A small refrigerator, microwave, Keurig coffee maker, and sink sweeten the deal. Individually controlled thermostat. 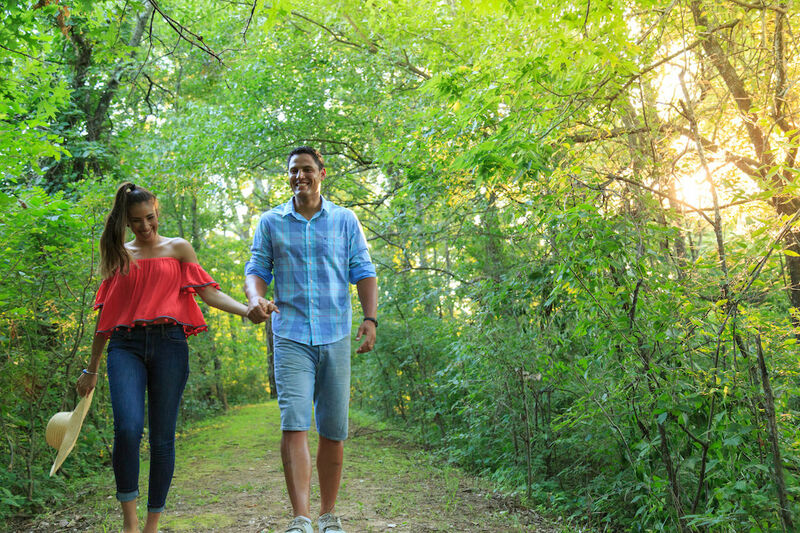 A lovely romantic getaway from Kansas City. A Beautiful End to a Great Day… After your fun-filled wedding day, treat yourselves to some quite time and unwind with a bottle of chilled champagne or sparkling cider, which will be waiting for you along with two keepsake champagne flutes.